Bobby Brown and Whitney Houston. 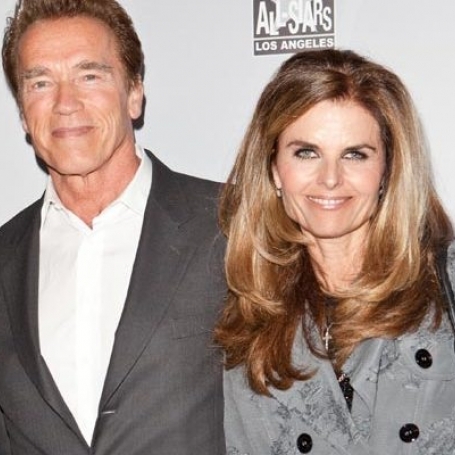 Love, Marriage, Divorce. 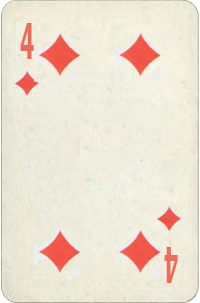 What Is the Seven of Spades Birth Card Mean? 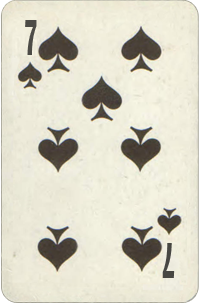 There is an inherent power behind the Seven of Spades. They just need to learn it and use it correctly. Highly intuitive and often psychic, they are diggers for truth, heralds of doctrine of eternal life, and there is no escape from Divine appointment. These are powerful people, and they often become leaders in their chosen field. They work quietly, and are usually willing to remain behind scenes. They can intuitively separate right from wrong, and see deep inside human hearts. They have many friends. They are generous, and willing to serve humanity. 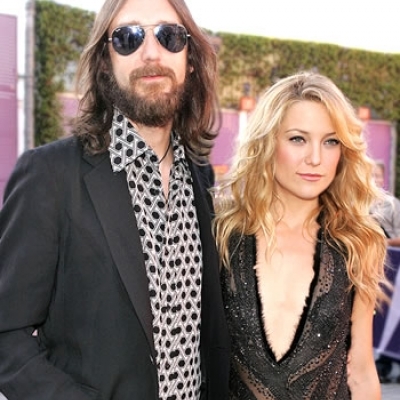 They are reliable and honest in business, faithful and devoted in love. They are attracted to highly intellectual partners, well-educated and mentally stimulating. Their emotions are deep and lasting, but emotional relationships are built more on respect and admiration than on pride and demonstration. Bobby Brown and Whitney Houston were married for 14 years (from 1992 to 2006). 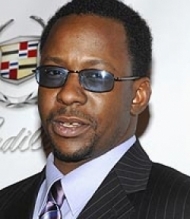 Whitney: "He [Bobby Brown] was the first male I met in the business that I could talk to and be real with. He was so down and so cool, I was like "I like him' ... Then we saw each other again, like four months later at a BeBe and CeCe Winans show ... And we've been friends ever since. See, our whole relationship started out as friends. We'd have dinner, laugh, talk and go home. It wasn't intimate. And then it kind of dawned on us, "What's going on here?' The first time he asked me to marry him, I said [laughs]: "Forget about it, no way. It's just not in my plans.'' After a year or so, I fell in love with Bobby. And when he asked to marry me the second time, I said yes." Chris Lee: "What they did together, according to her testimony, included a nightmarish descent into hard-core drugs, fistfights and bizarro behavior by Brown, such as him spray painting "evil eyes" on the walls and carpets of their home and cutting the heads off all photographs of Houston." 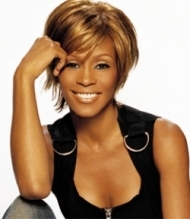 Whitney: "He [Bobby Brown] was my drug," Houston, 46, said on the season premiere of "The Oprah Winfrey Show." "I didn't do anything without him. I wasn't getting high by myself. It was me and him together, and we were partners, and that's what my high was  him. He and I being together, and whatever we did, we did it together. No matter what, we did it together." 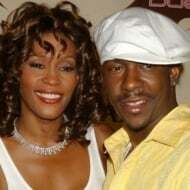 Bobby Brown about Whitney: "She's my friend. She's the better half of me. They say opposites attract, but we're not opposites. We're one person. We're loving life, and we're just trying to be as good to each other as possible. And we're moving on."